No Time to Clean? We Can Help! Our maid services to our clients are as individual as they are. At Handi Maids we customize your cleaning needs to fit your lifestyle. 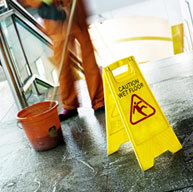 We can arrange a cleaning team weekly, bi-weekly, every 3 weeks or monthly maid service. We provide a thorough house cleaning every time. If you are interested in our services? The ladies did a wonderful job today. What a treat to come home to a lovely clean house. Pls thank them. Dear Handimaids, It was such a delight to come home this afternoon The house was sparkling! Thanks so much, see your crew in 2 weeks. Handi Maids, With many, many thanks for the great service over the years!! Thanks for always accommodating my schedule! Great working with your company! Girls did amazing work today! Just wanted to drop you a note, the ladies today did a fabulous job! Have a great weekend! My bathrooms were sparkling today! Please pass a special thanks to the ladies who cleaned my home today! You always seem to fit me in, when Im in a pinch! Thanks again. Once again an excellent job completed by the ladies yesterday! Handi Maids a are recognized veterans provider! © 2019 Professional House Cleaning Services - Handimaids™. All Rights Reserved.